I took part in a 24-hour race this weekend. In this race a bunch of people get together and run around in a one-mile circle as many times as possible for 24-hours. If it sounds stupid, it’s because it is…most things are kinda silly when looked at from a distance. This was a profound statement. This was a statement that extended beyond the parameters of running and spilled into everyday life and everyday situations. 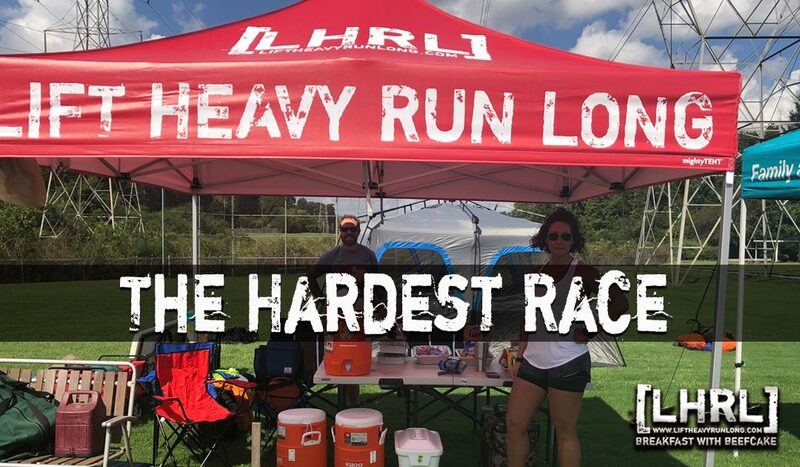 I think my friend was right- the race I am in the middle of is supposed to be the hardest. I believe that it is human nature to view our current problem as the biggest and most difficult, our depression the deepest, our weight the most out of control, our disappointment the greatest, our sadness the lowest. Because we are human, we take whatever is most current and amplify it to the greatest extent. While this is problematic at times, it is also a luxury that other animals don’t get to enjoy. We have the luxury of introspection and reflection. We have the opportunity to compare and we also have the ability to overdramatize. So while you are going through whatever you are going through and feeling that this is the most painful time of your life, it might be a good idea to remember that “Now” is synonymous with “Most”. It’s no coincidence that we survive those races, endure those situations and overcome those problems. As humans, it’s what we do best- exaggerate and overcome. Outstanding work today Wilson. I vote for at least a couple blogs per week. You are very good at finding the gem and giving it a good polish. I know you are enjoying the daily dumbbell but I hope you keep up these posts as well.